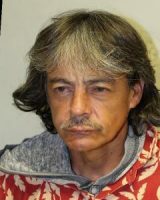 Hawaiʻi Island police have charged four people in connection with a break-in at a business in Hilo and for outstanding warrants. 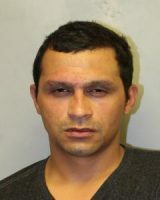 Late Wednesday evening, (February 14), police responded to a burglary-in-progress at a recycling business near the solid waste transfer station at the Hilo landfill. When officers arrived, they arrested three men, 28-year-old Brandon Hauoli, 49-year-old Brian Ruegg and 25-year-old Michael Kamahele, and one woman, 40-year-old Tiffany Davis, all from Hilo, who were found inside the fenced property of the business. Police also determined that the suspects broke into the building and removed items from the refrigerator along with miscellaneous tools. The suspects were taken to the Hilo cellblock while investigators with the Area I Criminal Investigation Section continued the investigation. 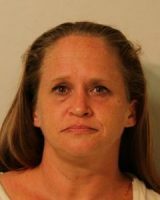 At 9:45 p.m., Thursday evening, (February 15), police charged Kamahele with second-degree burglary and second-degree criminal trespass. His bail is set at $11,000. Davis was charged with second-degree burglary, second-degree criminal trespass, and habitual property crimes. Her bail is set at $12,000. 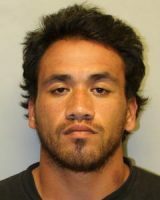 Hauoli was charged with second-degree burglary, second-degree criminal trespass, habitual property crimes and drug offenses. His bail is set at $22,000. Ruegg was charged with second-degree burglary, second-degree criminal trespass, and drug offenses. His bail is set at $22,000. All four suspects remain in custody at the Hilo cellblock in lieu of bail pending their initial appearance this afternoon, (February 16), in South Hilo District Court. Anyone who may have additional information about these incidents is asked to call the Police Department’s non-emergency line at (808) 935-3311 or Detective Aaron Carvalho of the Area I Criminal Investigation Section at (808) 961-2272 or Aaron.Carvalho@hawaiicounty.go….